Leah Turner Has The Keys to Her New Vehicle; SUCCESS! 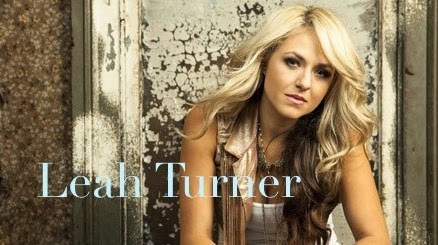 Lean Turner is an up and coming Country music artist and I predict; Superstar. But I think she always knew this. What I'm sure she doesn't know, is that I met her when she was a baby and toddler. Her Tia and I were not only school alumnus' but co-workers in Palm Springs and remain dear friends to this day. In the last year, Leah's name has been blowing up the social media sites, but I wasn't really aware of who she was until her auntie told me. It was pleasing to see her grow up to be not only a beautiful young woman but incredibly talented! But as most of you know, if you've been reading my page for the last few years, I won't promote something on my own that I am not fully excited by and that includes even from those I know. Seeing Leah on her new video, "Take the Keys" excites me because even if I didn't know her family, I would still promote her. She is authentic. She has an amazing presence about her. Here is her official video of "Take The Keys." Leah is working with some amazing people. One of which is Cary Barlowe, whom I've not met but we've shared the same friends for years, two being Kevin Max and Adam LaClave (formally of my fav band; Earthsuit). If you are a Mutemath superfan, then you'll know who he is. Anyways, Cary's credits reads like a who's who, including Carrie Underwood, Kevin Max, Taylor Swift, tobyMac, Rebecca St. James, Mandisa, Dierks Bentley and so on. Also, I enjoyed this video introducing everyone to Leah. Great to see the clips of her with her mom. Best wishes to you, Leah. I will be watching and posting! By the way, Leah's aunt had no idea that I would be writing about her niece.